Suppose your company is still managing your channel promotions on a 100% paper-based system or a spreadsheet. You may be handling it internally, or you may have engaged a mail-house or rebate fulfillment company. Let us further suppose though, that your gut is nagging you about this – something is off.You know that it makes sense to modernize and digitize but it has been understandably difficult to prioritize making the change. 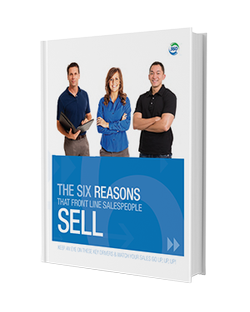 You are not alone – we meet with companies all the time who are feeling the same pains but have been able to get this important change to the top of the docket and bring unbelievable change and leverage to their channel marketing. 1.Incentive programs have gone stale and are undifferentiated from competitors. This is perhaps the most common challenge, but is really just scratching the surface of the problem. Most SPIFF and consumer rebate programs start out getting really strong results – your product is great and the incentive gives people that last little jab to take action, whether that’s making the sale or making the purchase. The problem is twofold: run the same program for too long and the “after rebate” price just becomes “the price” in the eyes of the consumer while the sales spiff stops moving the needle with sales associates because the reward becomes a form a “entitlement” rather than an “incentive”. Robust SaaS-based incentive management solutions such as the one we offer allows you to run many customized programs at once. 2.Unable to measure success of incentive programs. Paying out incentives feels great, doesn’t it?You’re getting what you want (more sales) while associates and consumers are getting a nice little bonus back.What makes this incomplete is the simple fact that it is difficult to measure ROI on incentive programs.Was the program you ran this year more effective/less effective than the program you ran last year? You can’t fix things if you aren’t clear on whether or not they are broken. 3.Lack of reporting and analytic capabilities to make business decisions. Related to the above, as well as my previous post, many companies who sell through an indirect model have a huge visibility problem through the channel.They sell to a distributor and then go dark, reporting-wise, once that transaction is made. Being able to see through your channel, all the way down to the consumer transaction level simply helps you craft better strategy across the entire enterprise. 4.Unable to get a consolidated view of all incentive programs in one platform. If you are using separate vendors or spreadsheets for each type of program, (e.g. one each for consumer, for channel, for sell-through allowances, for co-op programs) the consolidation and synthesis of the varied reporting is a massive job. It’s a job that pulls resources away from the actual marketing that you are supposed to be working on. You want to be able to get a 360 degree view on your entire promotional spend. 5.Manual claims processing or it takes a long time to process claims. You have people opening envelopes and keying in claim data? Stop it. 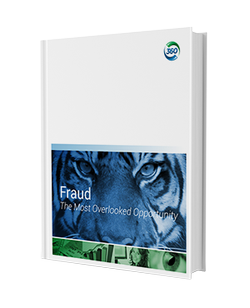 6.Limited ability to detect fraud or non-compliant claims. Boxes and boxes of paper are just one of the reasons that have historically made claim auditing impractical to scale.By digitizing and collecting copies of all documents that support the claim, you are on a path to being able to audit one hundred percent of your claims. Our software, for example, has built in OCR functionality to scrape pertinent data from the documents and automate systemic audits against program requirements and our own security algorithms.The world of channel marketing has typically been the world of fraud, and it’s worse than you think – usually in the double digits. Let’s say you were able to use auditing to protect ten percent of your spend: how is that for ROI? 7.Lack of IT resources to support or advance in house application. I’m actually impressed each time we see an instance where a company has built out a proprietary application for claim processing. I’m impressed because I know first-hand what it takes to build and maintain a robust platform. Invariably though, there comes a day where these companies (quite rightly) have to have that disciplined talk with themselves and ask “what business are we actually in?” Most often it’s not the channel marketing software business.IT departments will not have the resources to build out state of the art fraud detection software, mobile applications for claims and rebate processing and other useful incentive management applications. 8. Unable to run additional programs because they don’t have the help desk/support resources. Another issue of scale, especially where internal teams are running programs for their brand. You need to offer multiple programs and you are not sure of the claims volume, and associated call and support volume. Using an outside provider makes sense, as it allows you to scale up or down easily while maintaining a strong brand image. 9. Consumers and Sales Associates dissatisfied with time to process rebate or rebate experience. Do you ever make purchases with your ATM card? How fast is that money gone from your account? Do you get to leave the store with the goods and then have your account debited eight to twelve weeks later? Here’s another one: if you ask your dog to roll over but then give them the treat eight to twelve weeks later, will they roll over next time you ask them to? Right – people correctly have the expectation in the digital world that your incentives should pay out at the same speed that the rest of the connected world moves. Moving to a SaaS provider will get you there.